Meet the 2018 Ace All Star(s)! The Ace All-Star title has always been singular, but for 2018 it’s plural. For 2018, Ace chose two brothers, Kapono and Duke, to serve as this year’s All-Stars. Both brothers share a type of blood condition that prevents their blood from clotting as quickly as other people. Thanks to the care given at Kapiolani Medical Center for Women & Children in Hawaii, the boys lead normal and healthy lives. 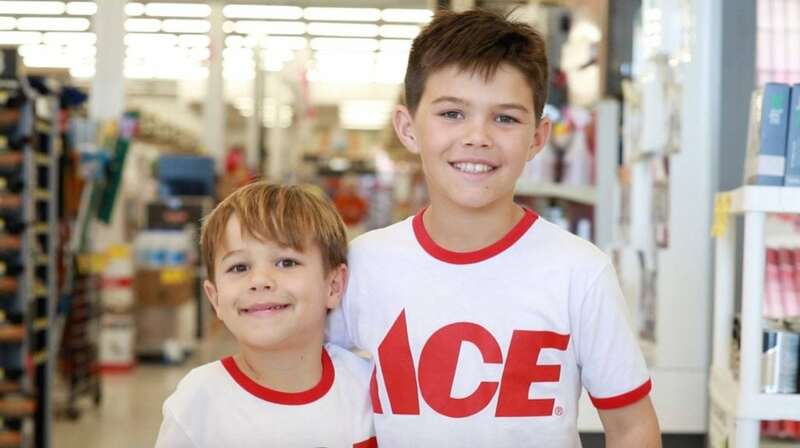 Ace Hardware has a tradition of choosing one Miracle Kid to serve as the company’s “All-Star” each year. The Ace All-Star serves as an ambassador for the Ace Foundation, raising awareness for the work at local Children’s Miracle Network hospitals.